William Tell (German : Wilhelm Tell) is a drama written by Friedrich Schiller in 1804. The story focuses on the legendary Swiss marksman William Tell as part of the greater Swiss struggle for independence from the Habsburg Empire in the early 14th century. Gioachino Rossini's four-act opera Guillaume Tell was written to a French adaptation of Schiller's play. Johann Christoph Friedrich von Schiller was a German poet, philosopher, physician, historian, and playwright. During the last seventeen years of his life (1788–1805), Schiller struck up a productive, if complicated, friendship with the already famous and influential Johann Wolfgang von Goethe. They frequently discussed issues concerning aesthetics, and Schiller encouraged Goethe to finish works he left as sketches. This relationship and these discussions led to a period now referred to as Weimar Classicism. They also worked together on Xenien, a collection of short satirical poems in which both Schiller and Goethe challenge opponents of their philosophical vision. This article presents lists of the literary events and publications in 1804. AegidiusTschudi was a Swiss statesman and historian, an eminent member of the Tschudi family of Glarus, Switzerland. His best known work is the Chronicon Helveticum, a history of the early Swiss Confederation. The Chronicon Helveticum is one of the oldest accounts of the early history of the Swiss Confederation. Albrecht Gessler, also known as Hermann, was a legendary 14th-century Habsburg bailiff at Altdorf, whose brutal rule led to the William Tell rebellion and the eventual independence of the Old Swiss Confederacy. Küssnacht am Rigi is a village and a district and a municipality in the canton of Schwyz in Switzerland. The municipality consists of three villages Küssnacht, Immensee, and Merlischachen, the hamlet Haltikon, the industrial area Fänn, and the alp Seeboden. It is situated at the north shore of Lake Lucerne and at the south shore of Lake Zug below mount Rigi. Polycrates, son of Aeaces, was the tyrant of Samos from c. 538 BC to 522 BC. He had a reputation as both a fierce warrior and an enlightened tyrant. Crossbow is a 1987 action/adventure television series that aired on The Family Channel. The series was produced by Steven North and Richard Schlesinger for Robert Halmi Inc., in co-production with French television network FR3, and filmed entirely on location in France. The Rütlischwur is the legendary oath taken at the foundation of the Old Swiss Confederacy by the representatives of the three founding cantons, Uri, Schwyz and Unterwalden, traditionally dated to 1307. It is named for the site of the oath-taking, the Rütli, a meadow above Lake Uri near Seelisberg. Recorded in Swiss historiography from the 15th century, the oath is notably featured in the play William Tell by Friedrich Schiller (1804). "The Pledge" is a ballad published by the German poet Friedrich Schiller in his 1799 Musen-Almanach. 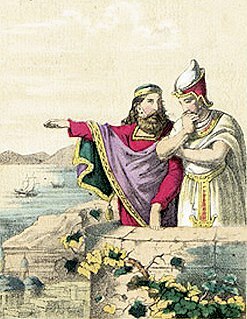 He took the idea out of the ancient legend of Damon and Pythias issuing from the Latin Fabulae by Gaius Julius Hyginus, as rendered in the medieval collection of the Gesta Romanorum. It magnifies the belief in the love of friendship and fidelity. The Adventures of William Tell is a British swashbuckler adventure series, first broadcast on the ITV network in 1958, and produced by ITC Entertainment. In the United States, the episodes aired on the syndicated NTA Film Network in 1958–1959. Fiesco is the second full length drama written by the German playwright Friedrich Schiller. It is a republican tragedy based on the historical conspiracy of Giovanni Luigi Fieschi against Andrea Doria in Genoa in 1547. Schiller began it after the 1782 premiere of his first play, The Robbers, and dedicated it to his teacher Jakob Friedrich von Abel. It has 75 scenes, which is more than Goethe’s highly popular Götz von Berlichingen. It premiered in Bonn in 1783 at the Hoftheater. Shooting an apple off one's child's head, also known as apple-shot is a feat of marksmanship with a bow or crossbow that occurs as a motif in a number of legends in Germanic folklore. In the Stith Thompson Motif Index it is F661.3, described as "Skillful marksman shoots apple from man's head" or "apple shot from man's head", though it always occurs in the form of the marksman being ordered to shoot an apple off his own son's head. It is best known as William Tell's feat. William Tell is a 1949 Italian historical drama film directed by Giorgio Pastina and Michal Waszynski and starring Gino Cervi, Monique Orban and Paul Muller. The film is based on Friedrich Schiller's 1804 play of the same title, which portrays the adventures of William Tell in his fight for Swiss independence. The film was produced by the Milan-based Fauno Film. The Tellskapelle is located on the Tellsplatte or Tellenplatte on the shore of Lake Lucerne at the foot of the Axenberg cliffs, in the Sisikon municipality, canton of Uri, Switzerland. It is across the Bay of Uri (Urnersee) from the Rütli, some 4.3 km away. Attinghausen Castle is a ruined medieval castle in the municipality of Attinghausen in the canton of Uri in Switzerland. It is a Swiss heritage site of national significance. Rudolf Lettinger was a German stage and film actor. He made his stage debut in 1883 when he played the role of Kosinsky in Friedrich Schiller's drama The Robbers. Some of his more prominent roles in his prestigious stage career were Cyrano de Bergerac and Gessler in William Tell. He also worked with acclaimed stage director Max Reinhardt. In 1912, Lettinger played his first film role in Das Geheimnis von Monte Carlo. Lettinger appeared in over 90 films until 1931, mostly as a supporting actor. His best-known film is perhaps The Cabinet of Dr. Caligari (1920), where Lettinger portrayed Dr. Olsen. William Tell is a 1934 German-Swiss historical film directed by Heinz Paul and starring Hans Marr, Conrad Veidt and Emmy Göring. It is based on the 1804 play William Tell by Friedrich Schiller about the Swiss folk hero William Tell. It was made in Germany by Terra Film, with a separate English-language version supervised by Manning Haynes also being released. While working on the film Veidt, who had recently given sympathetic performances of Jews in Jew Suss (1934) and The Wandering Jew, was detained by the authorities. It was only after pressure from the British Foreign Office that he was eventually released. It is also known by the alternative title The Legend of William Tell. Parts of Swiss German speaking Switzerland have their own deck of playing cards. They are mostly used for Jass, the "national card game" of Switzerland. The deck is related to the various German playing cards. Within Switzerland, these decks are called German or Swiss German cards. German playing cards are a style of playing cards used in many parts of Central Europe. Playing cards (Spielkarten) entered German-speaking lands around the late 1370s. The earliest cards were likely Latin-suited like in Italy and Spain. After much experimentation, the cards settled into new suits of Acorns (Eichel), Leaves, Hearts (Herz) and Bells around 1450. 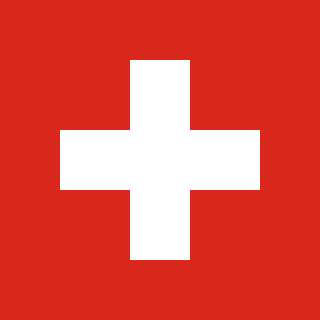 Closely related Swiss playing cards are used in German-speaking Switzerland. The French suit symbols were derived from the German ones around 1480. German-suited cards spread throughout Central Europe into areas that were once under German or Austrian control. They were also produced and used as far east as Russia until the early 20th century. German-suited decks are not well known all over these countries including parts of Germany itself as they have been undergoing strong competition from French playing cards since the late 17th-century. Traditional card games in which the German suits are used include Skat, Schafkopf, Doppelkopf and Watten. 1 2 3 4 5 6 7 8 9 Tell-Freilichtspiele Interlaken. Wikisource has the text of the 1920 Encyclopedia Americana article Wilhelm Tell .